On the topic of thinking before issuing a press release about a funding partner…The United Way of York County, Pa. evidently got on the last nerve of the local Habitat for Humanity this year when it did not fund the organization in its distribution of the $2.7 million in its general fund; the general fund contains money that was not designated by the donor for a particular agency. Habitat is still slated to get $23,000 in donor-directed money from the United Way’s campaign. The general fund, however, was $155,000 less than it was last year and so some long-standing partners got decreased funding but Habitat was the only one of 36 “partner agencies,” according to this article, that got nothing. So, Habitat published a press release under the headline “Breaking News” to express its discontent on the matter. 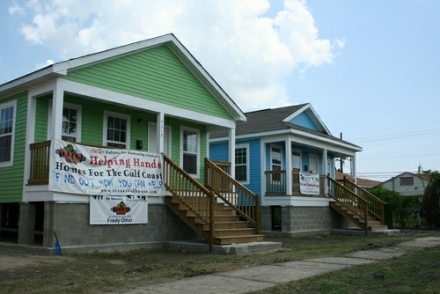 The executive director of the local United Way, Bob Woods, who was reportedly taken off guard by the move, said that Habitat was not eligible because it was just accepted as a partner in 2010 and so could not compete in the fund until next year. But an earlier statement from Woods in 2010 cites 2011–2012 as the year that Habitat could compete. In another questionable statement, the executive of Habitat in 2010, Rosie Boileau, mentioned that the partnership with the United Way was important because Habitat “is not always associated with a high level of professionalism.” Yikes. Really? Is that worth saying to the press? The thing is, NPQ is not suggesting that people should not hold funders to account. We think they should, sometimes publicly. We can recall a community foundation reversing itself when an organization threatened a sit-in during a board meeting to protest lousy process. But going public with a dispute like this all by oneself as an agency may be a strategic mess unless the strategic intent is very well thought through. We’d love to hear from readers about any situations in which they have publicly challenged a funder and come out ahead…or been run over.